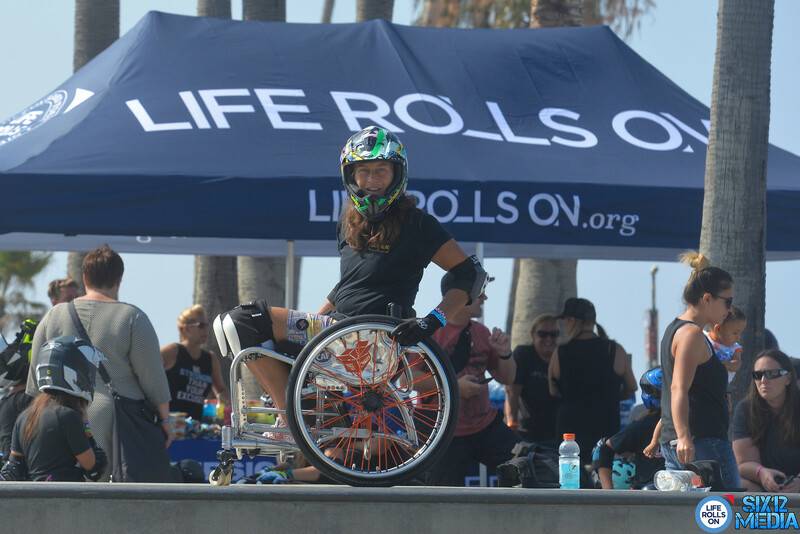 Meet Tracie, a 59-year Santa Monica resident and adaptive surfer, skater, and marathoner who will be running the LA Marathon next month and raising funds to support Surfrider LA. 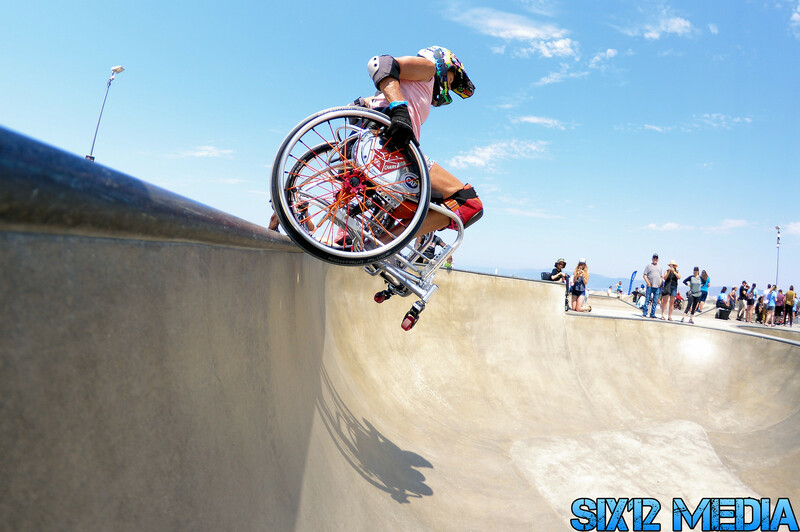 Tracie is a total beast and hasn't let Multiple Sclerosis stand in the way of getting after what she loves best - the beach, endurance challenges, and heavy drops. Click this link to support Tracie as she enters the LA Marathon on March 24th to raise funds for your favorite Surfrider chapter. By supporting Surfrider runners in the Skechers Performance Los Angeles Marathon, your gift will directly impact and help protect our local ocean, waves, and beaches for future generations. GO, TRACIE, GO! As the rains have tapered off, water quality has improved at the majority of sites tested - 31 and 20 CFUs/100mL at Santa Monica Pier and Will Rogers Beach respectively. However, the Pico Kenter storm drain is still showing elevated bacteria levels of 3823 CFUs/100mL 💩😳 - it’s a good reminder to avoid entering the ocean around storm drains for at least 72 hours after a significant rain. On Wednesday 2/27 at Patagonia Santa Monica , Surfrider LA is discussing sea level rise and the impacts to surfing in California. Members will hear an update from the Malibu Lagoon Action Committee and their efforts to address chronic erosion at First Point. Meeting is from 7pm - 8:30pm in store, and open to the public! Topanga's Shane Borland heads down south for some waves in Mexico. The North Pacific is fairly slow as we move into the second half of February. The West Coast gets a shot of NW windswell midweek, which shows largest in Northern California. . Southern California gets a smaller share but again, winds are problematic. Surfrider LA is looking for volunteers who can assist with weekday corporate sponsored beach cleanups. These cleanups are a major source of revenue for the chapter and help fund ongoing programs and campaigns to address plastic pollution, water quality, beach access, and coastal preservation here in LA County. DM Surfrider LA on Instagram if you're available to help with the cleanup on Wednesday. Presidents Day Sale Happening now at ZJ Boarding House !! Sticky Bumps Wax wants to hook you up with some wax! All you have to do is TAG your favorite local Surf Shop and your entered to win! Want to win a six pack of our Zombie Bob wax? (same formula, throwback packaging). 1. Follow @stickybumpswax on Instagram. 2. TAG your favorite local Surf Shop in the comments of the Wax Giveaway photo. After last weekend’s heavy rain, samples collected at Santa Monica beaches yielded elevated levels of enterococcus bacteria BUT under the EPA-recommended threshold. Unfortunately, samples collected at Tower 15 at Will Rogers beach by the drain showed exceedances in the levels of bacteria ABOVE the safety threshold. While the LA County Department of Health lifted the water quality warning this morning, care should still be taken to avoid surfing or swimming near creeks, outflow pipes or drains for another 1-2 days. .
On Tuesday, the Surfline cam got footage of this Ford F150 smashing into the guardrail near Neptune's Net. 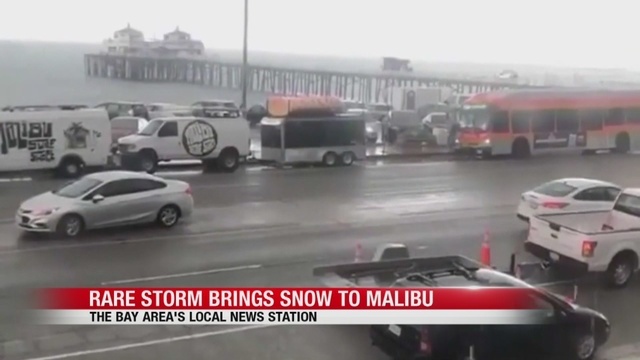 The video above from KTLA says an eyewitness captured the footage (but he filmed the the Surfline cam's replay of it). 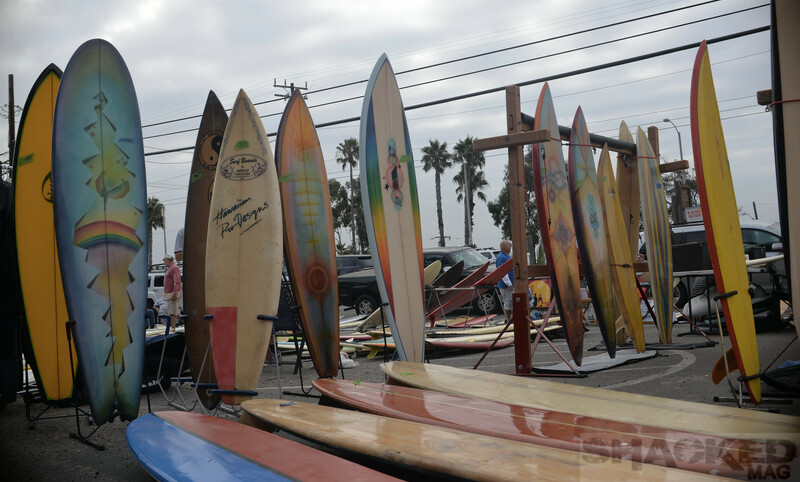 Boardriders Malibu and Vintage Surfboard Collector Club are hosting the Topanga Surf Swap. Mark your calendars on February 9 - 7am to 2 pm, for some epic vibes! Whether your looking to buy, sell or trade, there will be boards and gear for everyone! 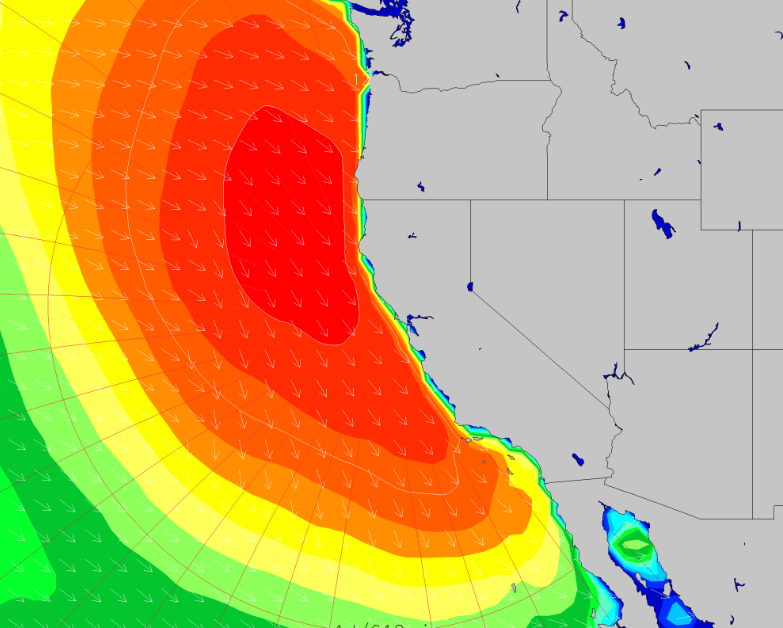 After a stormy last week, a better surf window should temporarily open up this week for parts of California. Unfortunately, not a whole lot of swell down in Southern California, yet clean morning conditions will setup plenty of options especially after the recent rains (come on, sandbars...). WEDNESDAY: 3-4'+ sets at winter standouts. AM conditions cleanest. Tuesday's WNW-NW swell-mix decreases some, but still providing sets up to chest-shoulder high at well exposed breaks (strongest overall in Ventura and South San Diego). 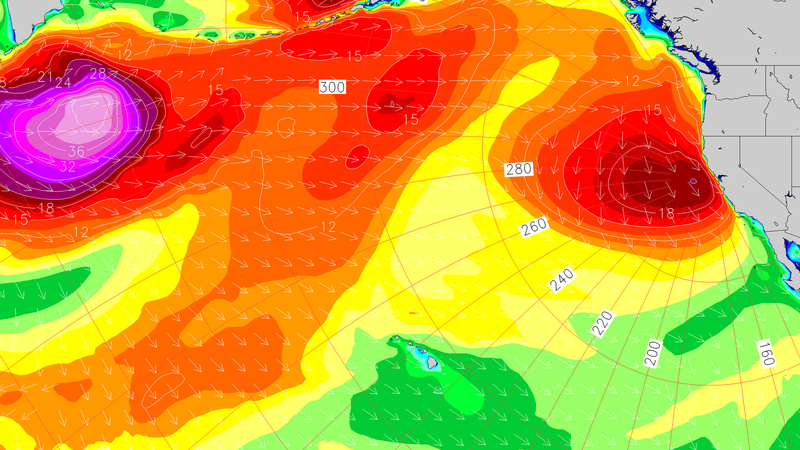 Likely decent shape, even the beachbreaks with a variety of periods to break it up. Light offshore wind in the AM for most areas, then just a light to moderate onshore breeze developing by the PM. Note a 5.5' high tide peaking mid-morning, which incoming tide early may be a good window for many spots. Poor water quality due to rainfall. THURSDAY: 2-3'+ sets at winter standouts. AM conditions cleanest. The WNW-NW swell-mix eases down another click from Wednesday. Primarily inconsistent WNW sets around waist-belly maybe chest high for top exposed breaks, which will be most prominent around the best tides - Strongest overall through Ventura and South San Diego. Similar conditions to Wednesday - Light offshore wind in the AM for most areas, then just a light to moderate onshore beeze developing in the PM. 5'+ high tide mid-morning. Poor water quality due to rainfall. Red Bull‘s WallRide contest will be held in lovely Venice Beach on Saturday, March 9. Weather has been a thorn in this contest’s side, which was originally scheduled for December and then moved to February. Let’s keep our fingers crossed for a sunny day! Pros and ams will be invited to get creative on different wall designs, and there will be opportunities for an open class of skaters to get in via a “wild card” selection. The contest will be held at the handball courts, known primarily for OG skate antics from some beloved Venice locals back in the day.